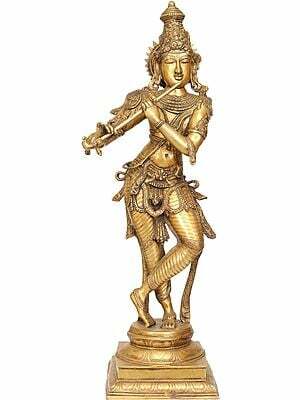 Lord Krishna is indeed one of the most popular of all Hindu deities. 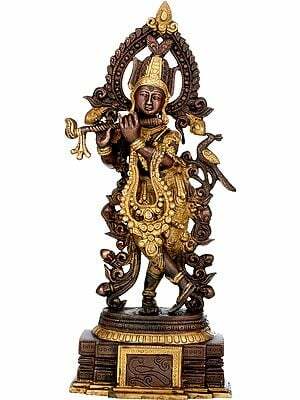 He is certainly the most worshipped God in India; the unique feature in Krishna’s puja being that He is not only worshipped in temples, but also in the privacy of personal altars across millions of Hindu homes. Krishna’s devotees lovingly worship Him by dressing up His statues and offering Him food and other ritual items as prescribed by the Vedic scriptures. 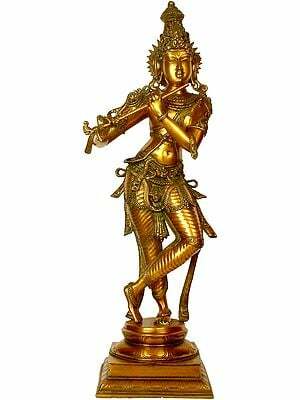 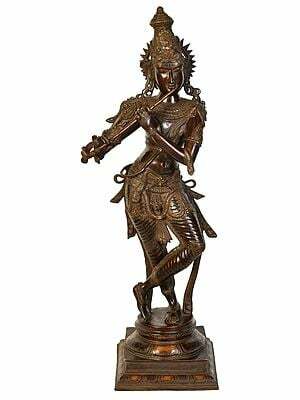 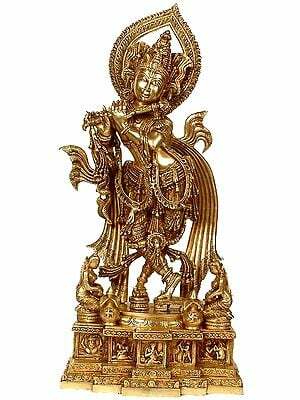 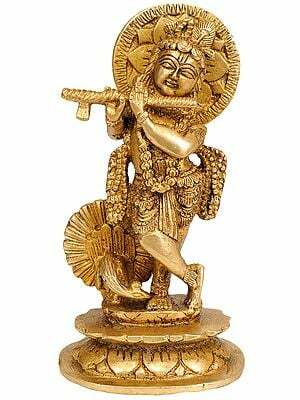 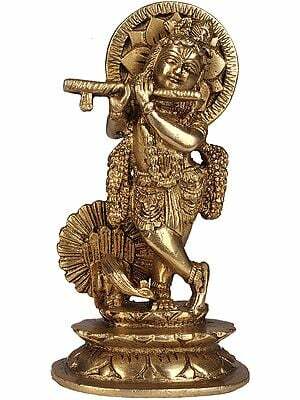 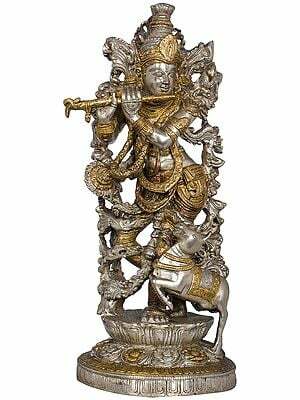 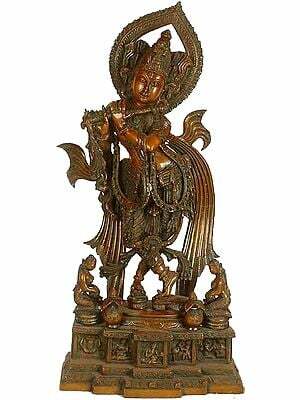 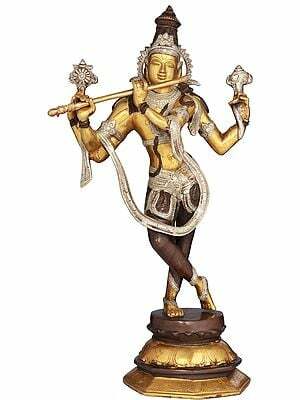 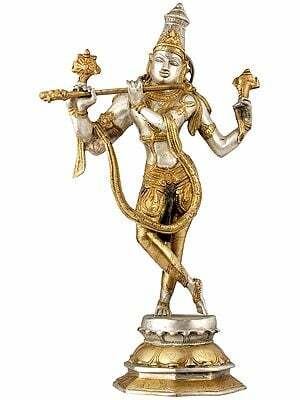 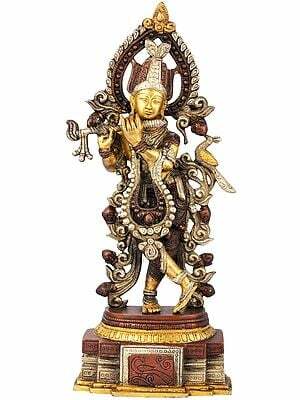 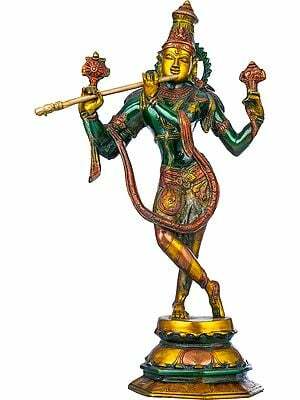 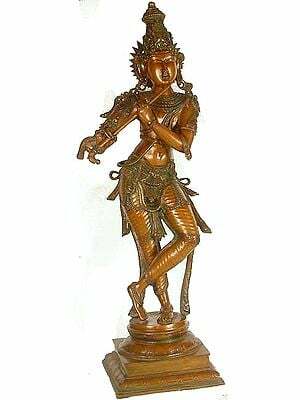 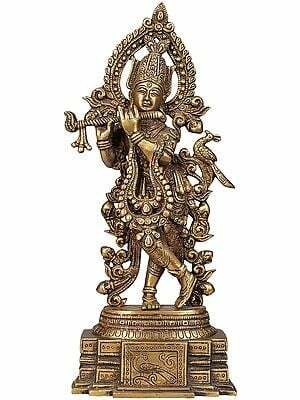 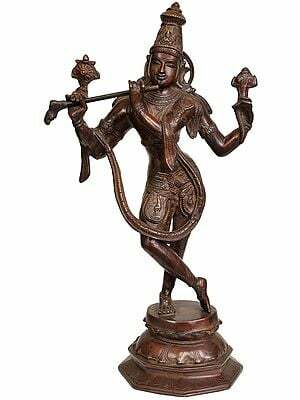 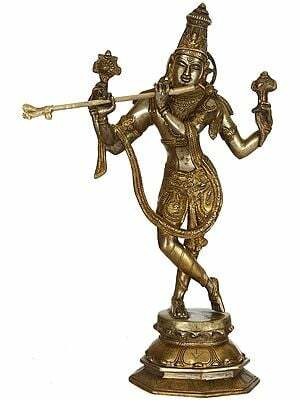 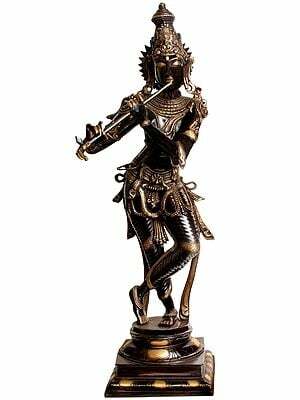 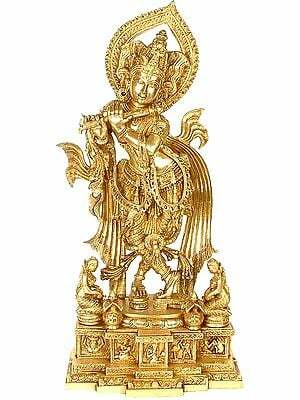 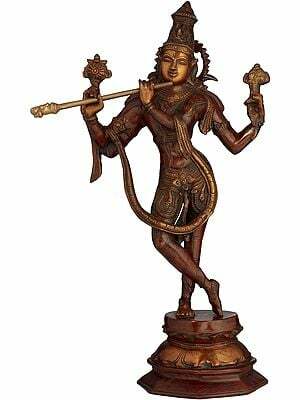 The most popular representation of Lord Krishna in sculptures shows Him playing His flute. Such statues are called ‘Venu-Vadaka Krishna’. 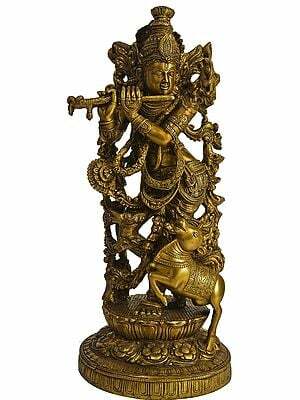 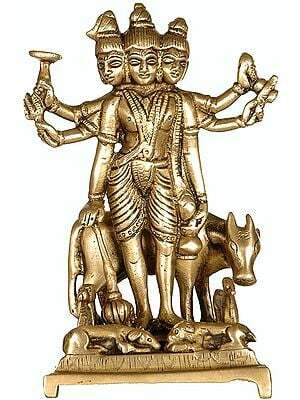 When there is a cow accompanying the flute-playing Krishna, then He is known as ‘Venu-Gopala’, signifying that Krishna is the protector of cows. 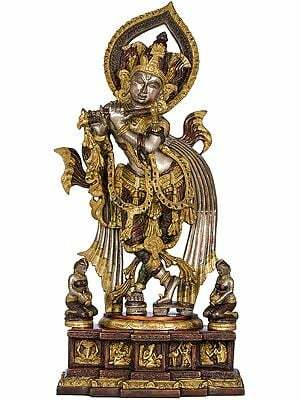 Not only cows, Krishna also enchants the milk-maidens of Vraja, the primary of whom is Radha Ji, who can also be seen as a worthy companion to statues of Krishna. 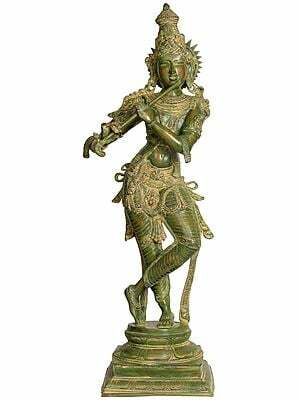 Often in sculptures, Srimati Radharani accompanies Krishna’s rhythms from the flute with a graceful dance of her own. 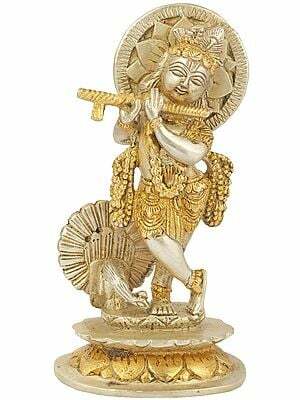 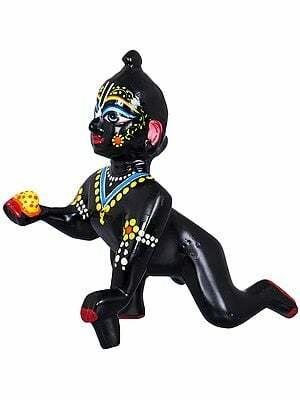 Another group of charming sculptures depict Krishna as a small, mischievous and adorable boy, engaged in various pranks, most commonly stealing butter on the stealth from the houses of the gopis of Vrindavana. 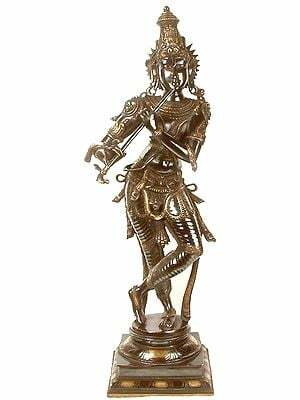 In this gallery are available for purchase the largest collection of Krishna statues on the internet. 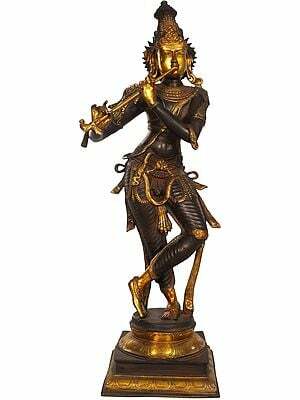 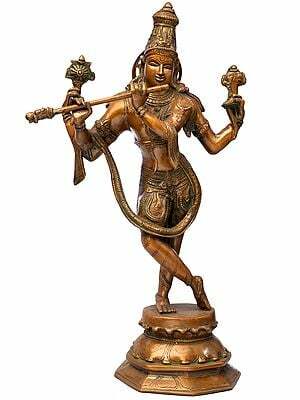 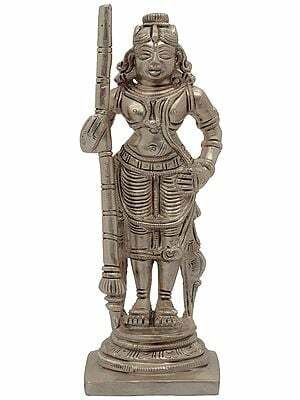 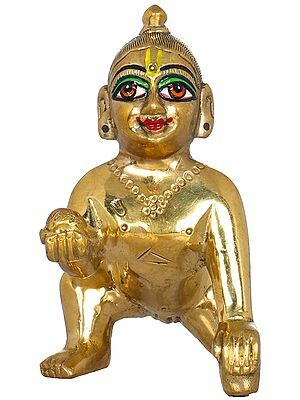 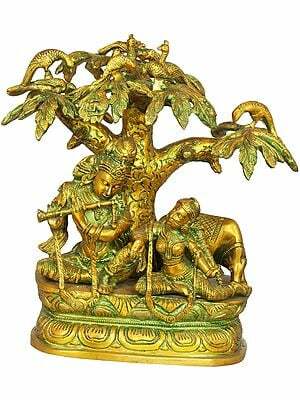 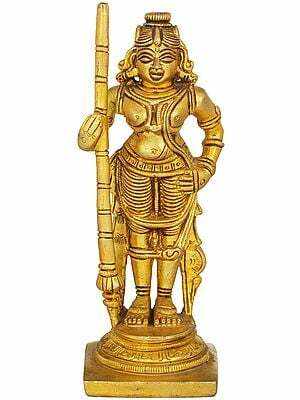 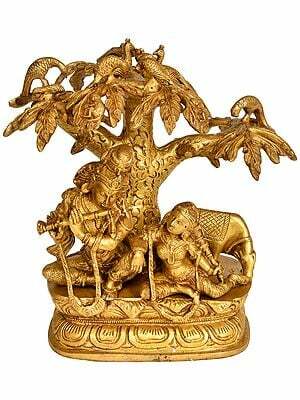 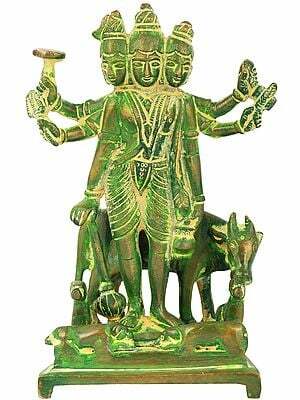 Here you can buy sculptures of the Lord in brass, bronze, marble and other stones and all types of wood.